Born in Shanghai, China, Xin Zhang started to learn drawing when he was six. As a talented boy in school, he participated in different types of kids exhibitions and competitions. He won the first prize at Ode to Motherland Exhibition held by Shanghai Youth Center. When he was twelve, his oil painting "Great Workers at Harbor" was published on the first color edition of Wenhui Daily, one of the major newspapers in China. During 1981 - 1986, Xin Zhang worked in Shanghai TV Station Animation Department as an art designer and director. At the mean time, he studied in an art college in China. In 1988, Xin Zhang went to Japan for furthur education on art. He studied in Musashino Art Institute and Wako University in Tokyo. He held several solo exhibitions and took part in many exhibitions, such as Asia Modern Art Exhibition, Nika Art Exhibition and New Works of Art Exhibition, etc. 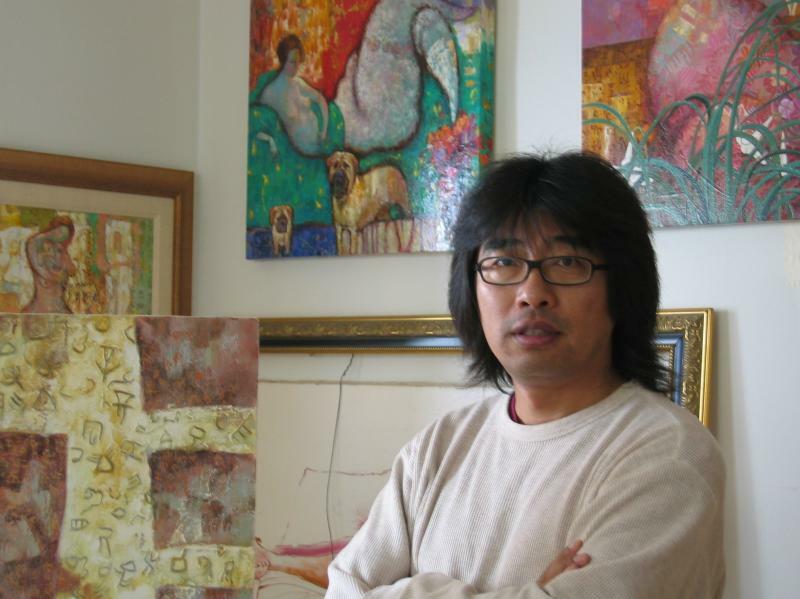 Xin Zhang's art works and his achievements were extensively recognized and reported by some major national media in Japan as well as in China. On Feb 5, 1993, Daily Yomiuri, which is the number one national newspaper with the biggest circulation in Japan, reported his achievements. He was called "Newly emerged artist" in Japan. On Feb 3, 1993, Mainichi Daily News, which is also one of the top three newspaper in Japan, reported him in the Four-Artist Exhibition in Tokyo. In 1996, the famous journal "CEL" used five pages to introduce his works, both in words and pictures. Xin Zhang was regarded as an artist with great power to control the artistic conception. In 1992, with two other artists, Xin Zhang had the Legendary Journey of Chinese Paintings Art Exhibition in Tokyo, which was assisted by Chinese Embassy in Japan and sponsored by Toyota Motor Corporation. This event was report by Shanghai TV Station. Xin Zhang came to the United States in 2000 and he is actively participating various art activities. Xin Zhang is pursuing the balance between abstraction and realism. He is a master in using bold colors which displays a strong and powerful images. Here is the thought from the artist: Creating a masterpiece is like being in love. You and the work are one. You can't force it, you can't pretend. There is no formula. You can't plan it or control it. You can't formulate it in your head and make it so. It simply is. Copyright 2013 Xin Zhang Art Studio. All rights reserved.